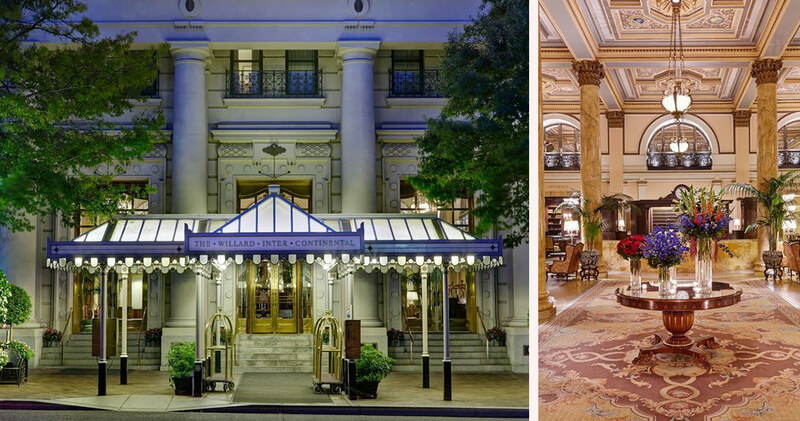 A charming, historic hotel, The Willard InterContinental offers contemporary luxury, elegant accommodation and personal service. 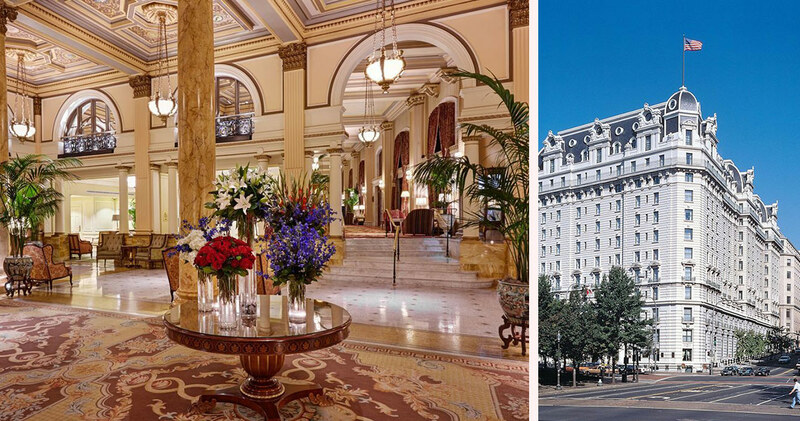 The Willard InterContinental is located close to the White House, National Theatre and Smithsonian Museum. Built in 1901, this historical hotel has hosted U.S. presidents and notable guests like Buffalo Bill and Charles Dickens. 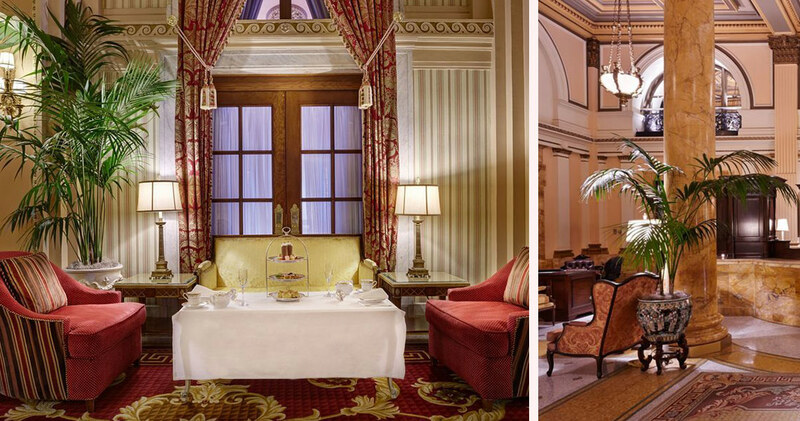 It combines historic charm with contemporary service. 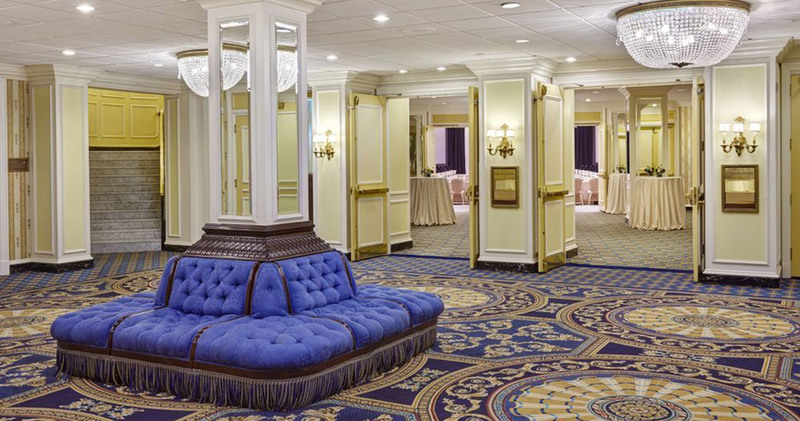 The lobby is grand and sophisticated, with an intricately molded ceiling, majestic pillars and elegant furniture. 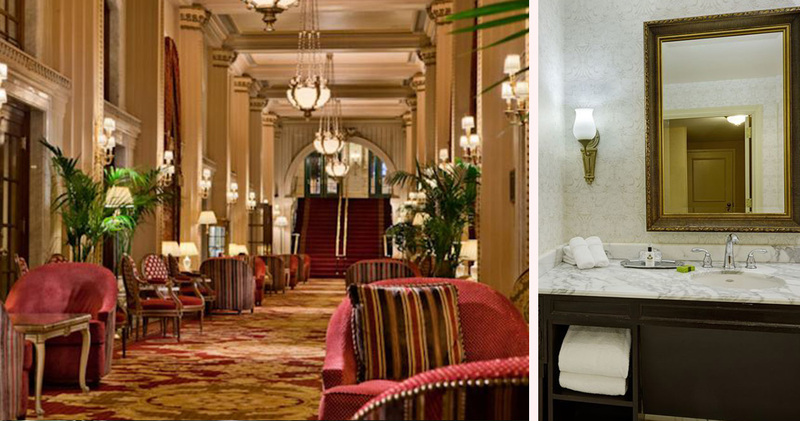 Home to the luxurious Red Door Spa by Elizabeth Arden, Hotel Willard InterContinental offers a wide range of treatments including aromatherapy and makeup services. 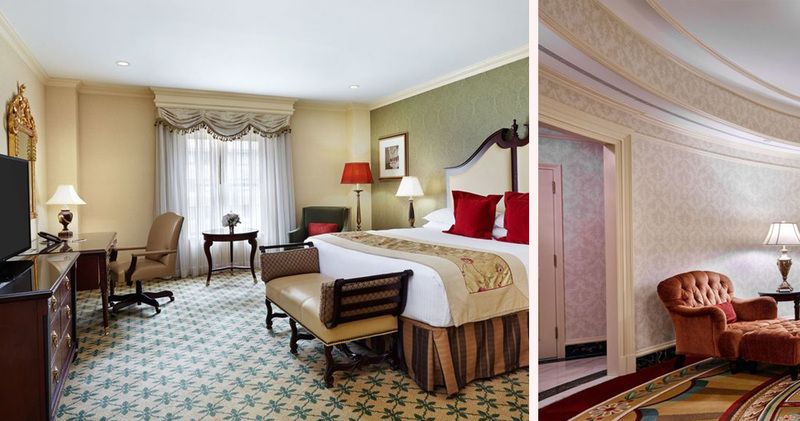 Guestrooms at The Willard InterContinental are spacious and well-designed. The rooms combine classic and contemporary style to create a tasteful, timeless look. With soft hues of yellow, brown and gold, the guestrooms feature hardwood poster beds, a large desk, plush armchairs and rich drapes. Beds feature luxurious BeautyRest Black Simmons mattresses and luxury linens. 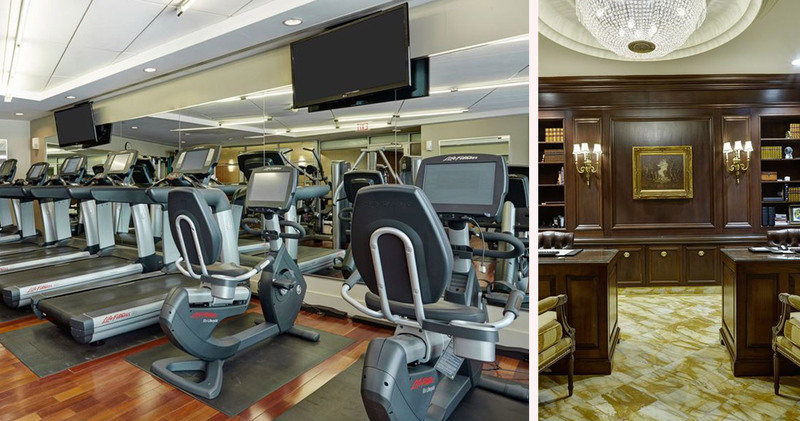 Keurig coffee machines are available in each room, and the large windows provide sweeping views of downtown Washington D.C. and Pennsylvania Avenue. The bathrooms feature a luxurious marble bath and Agraria Lemon Verbena products. 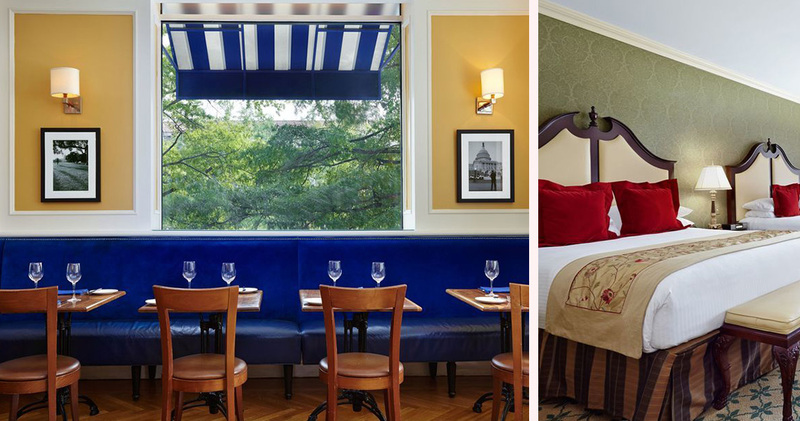 Cafe Du Parc at The Willard InterContinental is a stylish, French Bistro with Parisian style. Offering indoor and outdoor seating options, the restaurant serves handmade patisseries and classic bistro fare. The Occidental is a classic seafood restaurant with an elegant atmosphere and a collection of historic photos. 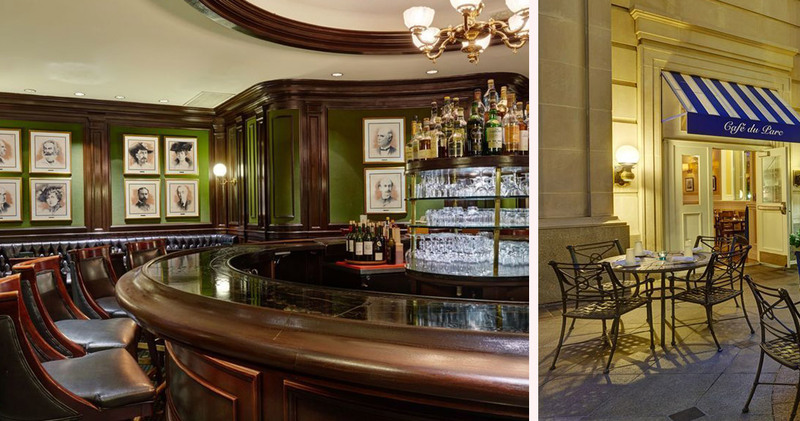 The Round Robin and Scotch Bar is a stylish bar that was once a favorite meeting place for the city’s political elite. Looking for a great place to eat? Check out our exclusive Top 10 List of Washington DC Food Bloggers, Restaurant Critics and Best Of Lists! Washington D.C. Downtown is a compact neighborhood and the center of entertainment, culture and shopping. The area is known for its large number of cultural and historic attractions and its excellent museums. Visitors will find downtown a pedestrian-friendly area with historical monuments and beautiful architecture. Downtown is the hub for entertainment and arts with good museums like National Museum of Women in Arts and Marian Koshland Science Museum. The neighborhood is also home to attractive boutiques and stores like Andre Chreky and Coup De Foudre. Downtown is also packed with many excellent attractions like National Building Museum, United States Navy Memorial and Smithsonian American Arts Museum.